Dr. McNamara’s New Book – "The Cognitive Neuropsychiatry of Parkinson’s Disease"
For reprints or further information on selected publications, please email Dr. McNamara. McNamara, P., Durso, R., Brown, A., & Lynch, A. (2003). Counterfactual cognitive deficit in persons with Parkinson’s disease. Journal of Neurology, Neurosurgery, and Psychiatry, 74, 1065-1070. McNamara, P., Andresen, J., Arrowood, J., & Messer, G. (2002). Counterfactual cognitive operations in dreams. Dreaming, 12(3), 121-133. McNamara, P. (2000). Counterfactual thought in dreams. Dreaming, 10(4), 232-245. McNamara, P. (2011). Neurochemistry and language. In P. C. Hogan (Ed. ), The Cambridge Encyclopedia of the Language Sciences (pp. 557-558). Cambridge, UK: Cambridge University Press. Holtgraves, T., & McNamara, P. (2010). Parkinson’s disease and politeness. Journal of Language and Social Psychology, 29(2), 178-193. McNamara, P., & Albert, M. (2004). Neuropharmacology of verbal perseveration. Seminars in Speech and Language, 25(4), 309-321. McNamara, P., & Durso, R. (2003). Pragmatic communication skills in patients with Parkinson’s disease. Brain and Language, 84, 414-423. McNamara, P., & Durso, R. (2000). Language functions in Parkinson’s Disease: Evidence for a neurochemistry of language. In L. Obler & L.T. Connor (Eds. ), Neurobehavior of language and cognition: Studies of normal aging and brain damage (pp. 201-212). New York: Kluwer Academic Publishers. McNamara, P., Clark, J., Krueger, M., & Durso, R. (1996). Grammaticality judgments and sentence comprehension in Parkinson’s disease: A comparison with Broca’s aphasia. International Journal of Neuroscience, 86, 151-166. Mimura, M., McNamara, P., & Albert, M. (1995). Towards a pharmacotherapy for aphasia. In H. Kirshner (Ed. ), Handbook of neurological speech and language disorders (pp. 465-482). New York: Marcel Dekker, Inc.
Frazier, L., & McNamara, P. (1995). Favor referential representations. Brain & Language, 49, 224-240. McNamara, P., Obler, L., Au, R., Durso, R., & Albert, M. (1992). Speech monitoring skills in Alzheimer’s Disease, Parkinson’s disease and normal aging. Brain & Language,42, 38-51. Shapiro, L., McNamara, P., Zurif, E., Lanzoni, S., & Cermak, L. (1992). Processing complexity and sentence memory: Evidence from amnesia. Brain & Language, 42, 431-453. McNamara, P., Benson, E., McGeeney, B., Brown, A., & Albert, M. (2005). Modes of remembering in patients with chronic pain: Relation to current pain. Journal of Nervous and Mental Disease, 193(1), 53-57. McNamara, P. (1996). Bergson’s “Matter and Memory” and modern selectionist theories of memory. Brain & Cognition, 30, 215-231. McNamara, P. (1994). Memory, double, shadow and evil. Journal of Analytical Psychology, 39, 233-251. McNamara, P. (1992). A transpersonal approach to memory. Journal of Transpersonal Psychology, 24(1), 61-78. McNamara, P., Guadagnoli, E., Evanisko, M.J., Beasley, C., Santiago-Delpin, E.A., Callender, C.O., & Christiansen, E. (1999). Correlates of support for organ donation among three ethnic minorities. Clinical Transplantation, 13, 45-50. Guadagnoli, E., Christiansen, C., DeJong, W., McNamara, P., Beasley, C., Christiansen, E., & Evanisko, M. (1999). The public’s willingness to discuss their preference for organ donation with family members. Clinical Transplantation, 13, 1-7. Helander, K., McNamara, P., Franz, H., & Beasley, C. (1999). Best demonstrated practices in organ donation: Meeting the challenge of the new HCFA regulations. In J. Burns & L.M. Northrup (Eds. ), Hospital strategies (pp. 111-140). New York: Faulkner and Gray, Inc.
Guadagnoli, E., McNamara P., Evanisko, M., Beasley, C., Callender, C.O., & Poretsky, A. (1999). The influence of race on approaching families for organ donation and their decision to donate. American Journal of Public Health, 89, 244-247. Beasley, C., Boyle, C., McNamara, P., & Guardino, S. (1999). Estimating the potential effects of donor registries using a simple analytical model. Transplantation Proceedings, 31, 1701-1702. Evanisko, M., Beasley, C., Brigham, L., Capossela, C., Cosgrove, G.R., Light, J., Mellor, S., Poretsky, A., & McNamara, P. (1998). Readiness of critical care physicians and nurses to handle requests for organ donation. Journal of Critical Care, 7(1), 4-12. McNamara P., & Beasley, C. (1997). Determinants of familial consent to organ donation in the hospital setting. In Cecka & Terasaki (Eds. ), Clinical transplants 1997 (pp. 219-229). Los Angeles: UCLA Tissue Typing Laboratory. McNamara P., Franz, H.G., Fowler, R., Evanisko, M.J., & Beasley, C.L. (1997). Medical record review as a measure of the effectiveness of organ procurement practices in the hospital.” Joint Commission Journal on Quality Improvement, 23(6), 321-333. Assal, F., & McNamara, P. (2008). Spatial perseveration in dementia with Lewy bodies. Behavioural Neurology, 18, 235-236. Klein, R., McNamara, P., & Albert, M. L. (2006). Neuropharmacologic approaches to cognitive rehabilitation. Behavioural Neurology, 17, 1-3. McNamara, P., & Albert, M. (2003). Pharmacotherapy of cognition. In K. Heilman & E. Valenstein (Eds. ), Clinical neuropsychology (4th ed., pp. 640-656). New York: Oxford. Oscar-Berman, M., & McNamara, P. (2001). Cognitive changes in aging alcoholics. In R.R. Watson (Ed. ), Alcohol and substance abuse in the aged (pp. 21-40). New York: CRC Press. Oscar-Berman, M., & McNamara, P. (2001). Brain injuries. In W.E. Craighead & C.B. Nemeroff (Eds. ), The Corsini Encyclopedia of psychology and behavioral science (3rd ed., vol. 1, pp. 236-237). New York: John Wiley and Sons. Oscar-Berman, M., & McNamara, P. (2001). Central nervous system disorders. In W.E. Craighead, & C.B. Nemeroff (Eds. ), The Corsini Encyclopedia of psychology and behavioral science (3rd ed., vol. 1, pp. 265-267). New York: John Wiley and Sons. McNamara, P., Oscar-Berman, M., & Albert, M. (2000). Frontal lobe function and pain in the elderly. Journal of Adult Development and Aging, 7(2), 113-119. McNamara, P., Blum, D., O’Quin, K., & Schachter, S. (1994). Markers of cerebral lateralization and alcoholism. Perceptual & Motor Skills, 79, 1435-1440. McNamara, P., Flannery, K., Obler, L., & Schachter, S. (1994). Special talents in Geschwind and Galaburda’s theory of cerebral lateralization: An examination in a female population. International Journal of Neuroscience, 78, 167-176. Tanaka, Y., Miyazaki, M., Kuzuhara, S., McNamara, P., & Albert, M. (1993). The relation between pain and cerebral hemisphere. Neurological Medicine (Tokyo), 39(3), 263-268. Staveley, H., & McNamara, P. (1993). Warwick Fox’s “Transpersonal Ecology”: A critique and alternative approach. Journal of Transpersonal Psychology, 24(2), 201-211. Oscar-Berman, M., McNamara, P., & Freedman, M. (1991). Delayed response tasks: Parallels between experimental ablation studies and findings in patients with frontal lesions. In H.S. Levin & H.M. Eisenberg (Eds. ), Frontal lobe function and injury (pp. 230-255). Oxford: Oxford University Press. Butler, P. M., & McNamara, P. (in press). Epigenetic, imprinting and neurobehavioral effects in Parkinson’s disease. In P. McNamara (Ed. ), Dementia: Volume 2: Science and biology. Santa Barbara, CA: Praeger Publishers. McNamara, P., Stavitsky, K., Durso, R., & Harris, E. (2010). The impact of clinical and cognitive variables on social functioning in Parkinson’s disease: Patient versus examiner estimates. Parkinson’s Disease, Article ID 263083, 6 pages. McNamara, P., Durso, R., & Harris, E. (2008). Alterations of the sense of self and personality in Parkinson’s Disease. International Journal of Geriatric Psychiatry. 23,(1), 79-84. Stavitsky, K., McNamara, P., Durso, R., Harris, E., Auerbach, S., & Cronin-Golomb, A. (2008). Hallucinations, dreaming and frequent dozing in Parkinson’s disease: Impact of right-hemisphere neural networks. Cognitive & Behavioral Neurology, 21(3), 143-149. McNamara, P., Durso, R., & Harris, E. (2007). ‘Machiavellianism’ and frontal dysfunction: Evidence from Parkinson’s Disease (PD). Cognitive Neuropsychiatry, 12(4), 285-300. McNamara, P., Durso, R., & Harris, E. (2006). Life goals of patients with Parkinson’s disease: A pilot study on correlations with mood and cognitive functions. Clinical Rehabilitation, 20, 818-826. McNamara, P., Durso, R., & Brown, A. (2006). Religiosity in patients with Parkinson’s disease. Neuropsychiatric Disease & Treatment, 2(3), 341-348. McNamara, P., Durso, R., Brown, A., & Harris, E. (2006). The chemistry of religiosity: Evidence from patients with Parkinson’s disease. In P. McNamara (Ed. ), Where God and science meet: How brain and evolutionary studies alter our understanding of religion: Volume II: The neurology of religious experience (pp. 1-14). Westport, CT and London: Praeger Perspectives. McNamara, P., Durso, R., & Harris, E. (2006). Frontal lobe mediation of the sense of self: Evidence from studies of patients with Parkinson’s disease. In A. P. Prescott (Ed. ), The concept of self in medicine and health care (pp. 143-161). Hauppauge, NY: Nova Science Publishers, Inc.
McNamara, P., & Durso, R. (2005). Neuropharmacological treatment of mental dysfunction in Parkinson’s disease. Behavioural Neurology, 16, 1-9. Wegelin, J., McNamara, P., Durso, R., Brown, A., & McLaren, D. (2005). Correlates of excessive daytime sleepiness in Parkinson’s disease. Parkinsonism & Related Disorders, 11, 441-448. McNamara, P., Durso, R., & Brown, A. (2003). Relation of ‘sense of self’ to executive function performance in Parkinson’s Disease. Cognitive & Behavioral Neurology, 14, 139-148. McNamara, P., Durso, R., Brown, A., & Lynch, A. (2003). Counterfactual cognitive deficit in patients with Parkinson’s disease. Journal of Neurology, Neurosurgery & Psychiatry, 74, 1065-1070. McNamara, P., & Durso, R. (2003). Pragmatic communication skills in Parkinson’s Disease. Brain & Language, 84, 414-423. McNamara, P., Durso, R., & Auerbach, S. (2002). Dopaminergic syndromes of sleep, mood and mentation: Evidence from Parkinson’s disease and related disorders. Sleep and Hypnosis, 4(3), 119-131. McNamara, P., von Harscher, H., Scioli, T., Krueger, M., Lawson, D., & Durso, R. (1995). The sense of self after brain damage: Evidence from aphasics and individuals with Parkinson’s disease. Journal of Cognitive Rehabilitation, November/December, 16-23. McNamara, P., Obler, L., Au, R., Durso, R., & Albert, M. (1992). Speech monitoring skills in Alzheimer’s Disease, Parkinson’s disease and normal aging. Brain & Language, 42, 38-51. McNamara, P., & Durso, R. (1991). Reversible Othello syndrome in a man with Parkinson’s disease. American Journal of Geriatric Neurology & Psychiatry, 4(3), 157-159. Butler, P. M., McNamara, P., Durso, R. (in press). Side of onset in Parkinson’s Disease and alterations in religiosity: Novel behavioral phenotypes. Behavioral Neurology. McNamara, P., & Butler, P. M. (in press). De-personalization and the psychobiology of evil. In J. Harold Ellens (Ed. ), Explaining evil. Praeger, CT: Greenwood Press. McNamara, P., & Butler, P. M. (in press). The neuropsychology of religious experience. In R.F. Paloutzian & C. L. Park (Eds. ), The handbook of the psychology of religion, 2nd ed. New York: The Guilford Press. McNamara, P. (Ed.). (in press). Religious coping strategies in healthy elderly and in those at risk for dementia.In Dementia: Volume 3: Treatments and developments. Santa Barbara, CA: Praeger Publishers. McNamara, P., & Wildman, W. J. (in press). On religious consciousness. The International Journal for thePsychology of Religion. McNamara, P., & Burns, J. (in press). Religiosity as protective against addictions in adolescents. In A. Browne- Miller (Ed. ), Addictions (4 vols.). Westport, CT: Greenwood Press. McNamara, P. (2010). The neuroscience of religious experience – A response to the Runyan-Kreitzer review. Christian Scholar’s Review, 39(4), 479-481. McNamara, P., Burns, J., Johnson, P., & McCorkle, B. H. (2010). How does religiousness protect against risky health behaviors? Psychology of Religion and Spirituality, 2(1), 30-34. Wildman, W., & McNamara, P. (2008). Challenges facing the neurological study of religious behavior, belief and experience. Method & Theory in the Study of Religion, 20, 212-242. Harris, E., & McNamara, P. (2008). Is religiousness a biocultural adaptation? In J. Bulbulia, R. Sosis, R. Genet, E. Harris, K. Wyman, & C. Genet (Eds. ), The evolution of religion: Studies, theories, and critiques. Santa Margarita, CA: Collins Family Foundation. McNamara, P., & Szent-Imrey, R. (2007). Understanding miracles in relationship to standard religious experiences. In J. H. Ellens (Ed. ), The psychology and science of miracle healings, Volume 1: Religious and spiritual events. Westport, CT: Greenwood Press. Emmons, R., & McNamara, P. (2006). Sacred emotions and affective neuroscience: Gratitude, costly-signaling, and the brain. In P. McNamara (Ed. ), Where God and science meet: How brain and evolutionary studies alter our understanding of religion: Volume I: Evolution, genes, and the religious brain (pp. 11-30). Westport, CT and London: Praeger Perspectives. Park, C., & McNamara, P. (2006). Religion, meaning, and the brain. In P. McNamara (Ed. ), Where God and science meet: How brain and evolutionary studies alter our understanding of religion: Volume III: The psychology of religious experience (pp. 67-89). Westport, CT and London: Praeger Perspectives. Paloutzian, R., Swenson, E., & McNamara, P. (2006). Religious conversion, spiritual transformation, and the neurocognition of meaning making. In P. McNamara (Ed. ), Where God and science meet: How brain and evolutionary studies alter our understanding of religion: Volume II: The neurology of religious experience (pp. 151-169). Westport, CT and London: Praeger Perspectives. McNamara, P., Durso, R., Brown, A., & Harris, E. (2006). The chemistry of religiosity: Evidence from patients with Parkinson’s disease. In P. McNamara (Ed. ), Where God and science meet: How brain and evolutionary studies alter our understanding of religion: VolumeII: The neurology of religious experience (pp. 1-14). Westport, CT and London: Praeger Perspectives. McNamara, P. (Ed.). (2006). The frontal lobes, and the evolution of cooperation and religion. 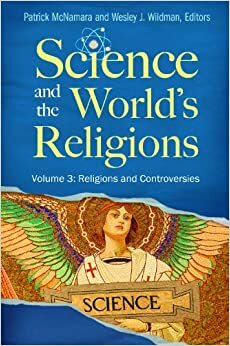 In Where God and science meet: How brain and evolutionary studies alter our understanding of religion: Volume II: The neurology of religious experience (pp. 189-204). Westport, CT and London: Praeger Perspectives. McNamara, P., Andresen, J., & Gellard, J. (2003). Relation of religiosity and scores on fluency tests to subjective reports of health in older individuals. The International Journal for the Psychology of Religion, 13(4), 259-271. McNamara, P. (2002). The frontal lobes, social intelligence, and religious worship. Ideas for Creative Research in Neurobiology. The John Templeton Foundation (pp. 50-59). McNamara, P. (2002). The motivational origins of religious practices. Zygon: A Journal of Science and Religion, 37(1), 143-160. McNamara, P. (2001). Religion and the frontal lobes. In J. Andresen (Ed. ), Religion in mind (pp. 237-256). Cambridge: Cambridge University Press. McNamara, P. (in press). 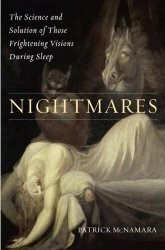 Review of The twenty-four hour mind: The role of sleep and dreaming in our emotional lives by Rosalind Cartwright. Sleep and Hypnosis. Kookoolis, A., Pace-Schott, E.F., & McNamara, P. (2010). 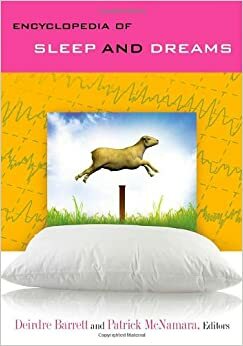 Dream content and memory processing: Dream lag effects within a single night and across several nights. Dreaming, 20(3), 211-217. McNamara, P., Johnson, P., McLaren, D., Harris, E., Beauharnais, C., & Auerbach, S. (2010). REM and NREM sleep mentation. International Review of Neurobiology, 92, 69-86. Acerbi, A., McNamara, P., & Nunn, C. L. (2008). To sleep or not to sleep: The ecology of sleep in artificial organisms. BMC Ecology, 8(10). Capellini, I., Nunn, C. L., McNamara, P., Preston, B. T., & Barton, R. A. (2008). Energetic constraints, not predation, influence the evolution of sleep patterning in mammals. Functional Ecology, 22(5), 847-853. Capellini, I., Barton, R. A., Preston, B., McNamara, P., & Nunn, C. L. (2008). Phylogenetic analysis of the ecology and evolution of mammalian sleep. Evolution, 62-7, 1764-1776. McNamara, P., Capellini, I., Harris, E., Nunn, C. L., Barton, R. A., & Preston, B. (2008). The phylogeny of sleep database: A new resource for sleep Scientists. The Open Sleep Journal, 1, 11-14. McNamara, P., McLaren, D. & Durso, K. (2007). Representation of the Self in REM and NREM Dreams. Dreaming, 17(2): 113-126. McNamara, P., Nunn, C., Barton, R., Harris, E., & Capellini, I. (2007). Phylogeny of sleep and dreams. In D. Barrett & P. McNamara (Eds. ), The new science of dreaming (Volume I, Chp. 3). Westport, CT and London: Praeger Perspectives. McNamara, P., Harris, E., & Kookoolis, A. (2007). Costly signaling theory of dream recall and dream sharing. In D. Barrett & P. McNamara (Eds. ), The new science of dreaming (Volume III, Chp. 7). Westport, CT and London: Praeger Perspectives. McNamara, P., McLaren, D., Kowalczyk, S., & Pace-Schott, E. (2007). ‘Theory of Mind’ in REM and NREM dreams. 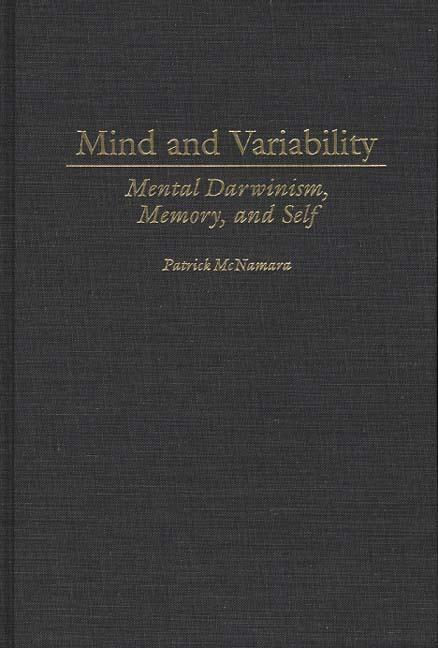 In D. Barrett & P. McNamara (Eds. ), The new science of dreaming (Volume I, Chp. 13). Westport, CT and London: Praeger Perspectives. McNamara, P., & Szent-Imrey, R. (2007). Costly signaling theory of REM sleep and dreams. Evolutionary Psychology, 5(1), 28-44. McNamara, P., McLaren, D., Smith, D., Brown, A. & Stickgold, R. (2005). A “Jekyll and Hyde” within: Aggressive versus friendly social interactions in REM and NREM dreams.” Psychological Science, 16(2), 130-136. McNamara, P. (2004). Genomic imprinting and neurodevelopmental disorders of sleep. Sleep and Hypnosis, 6(2), 82-90. McNamara, P., Belsky, J., & Fearon, P. (2003). Infant sleep disorders and attachment: Sleep problems in infants with insecure-resistant versus insecure-avoidant attachments to mother. Sleep & Hypnosis, 5(1), 7-16. McNamara, P., Durso, R., & Auerbach, S. (2002). Dopaminergic syndromes of sleep, mood, and mentation: Evidence from Parkinson’s disease and related disorders. Sleep & Hypnosis, 4(4), 119-131. McNamara, P., Dowdall, J., & Auerbach, S. (2002). REM sleep, early experience, and the development of reproductive strategies. Human Nature, 13(4), 405-435. McNamara, P., Andresen, J., Clark, J., Zborowski, M., & Duffy, C. (2001). Impact of attachment styles on dream recall and dream content: A test of the attachment hypothesis of REM sleep. Journal of Sleep Research, 10, 117-127. Zborowski, M., & McNamara, P. (1998). Attachment hypothesis of REM sleep: Toward an integration of psychoanalysis, neuroscience, and evolutionary psychology and the implications for psychopathology research. Psychoanalytic Psychology, 15(1), 115-140. McNamara, P., Clark, J., & Hartmann, E. (1998). Handedness and dream content. Dreaming, 8(1), 15-22. McNamara, P. (1996). Bergson’s theory of dreaming. Dreaming, 6(3), 173-186. McNamara, P. (1996). REM sleep: A social bonding mechanism. New Ideas in Psychology, 14(1), 35-46.